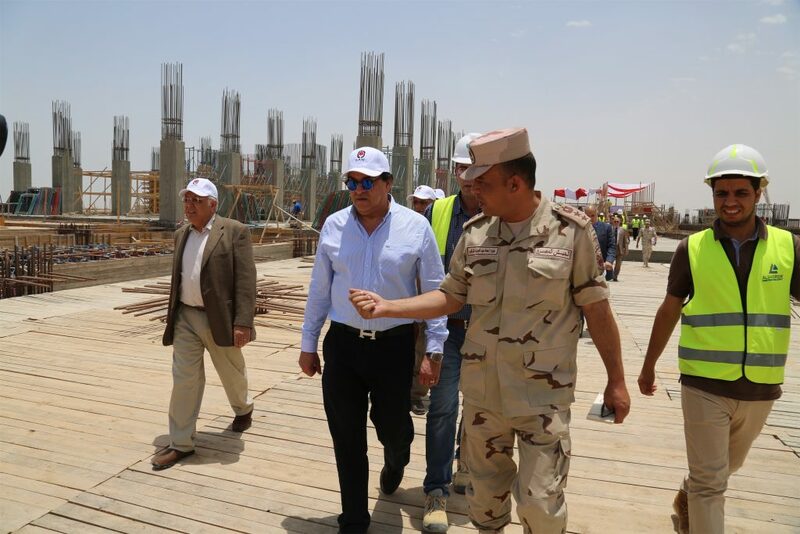 On Thursday June 21st, 2018, Minister of Higher Education and Scientific Research Prof. Khaled Abd El-Ghaffar checked Egypt-Japan University of Science and Technology (E-JUST) construction works. The University is located in New Borg El-Arab city – Alexandria at the cost of 3 billion EGP. 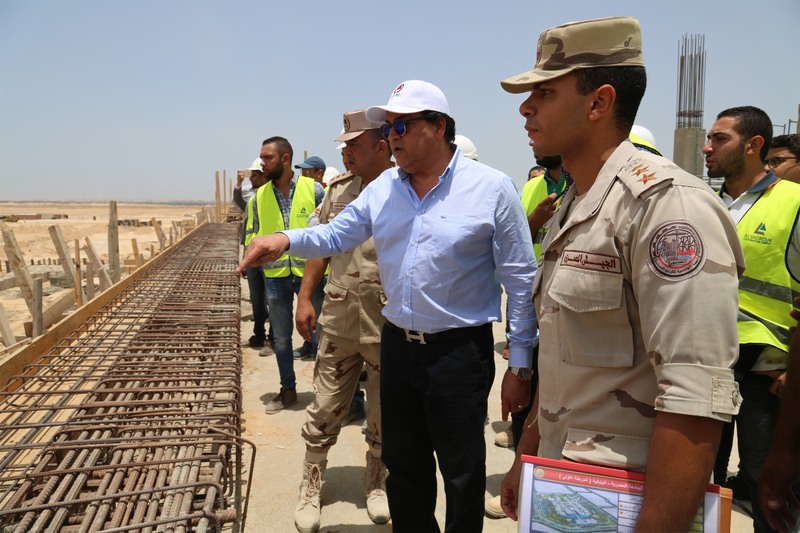 Construction works are scheduled to be finalized this current year. The minister praised E-JUST distinctive level, considering it one of the beacons of science and knowledge. This University is regarded as a model of fruitful cooperation between Egyptian and Japanese governments. 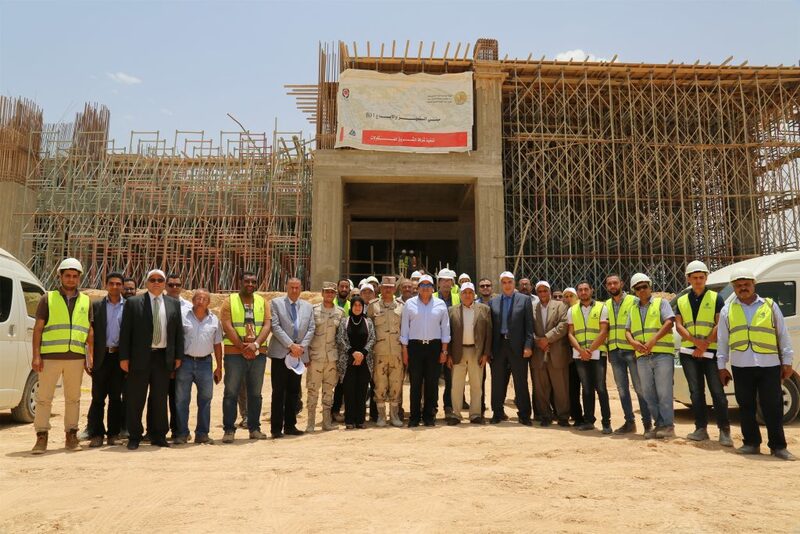 This shall have a significant impact on University education system development in Egypt. 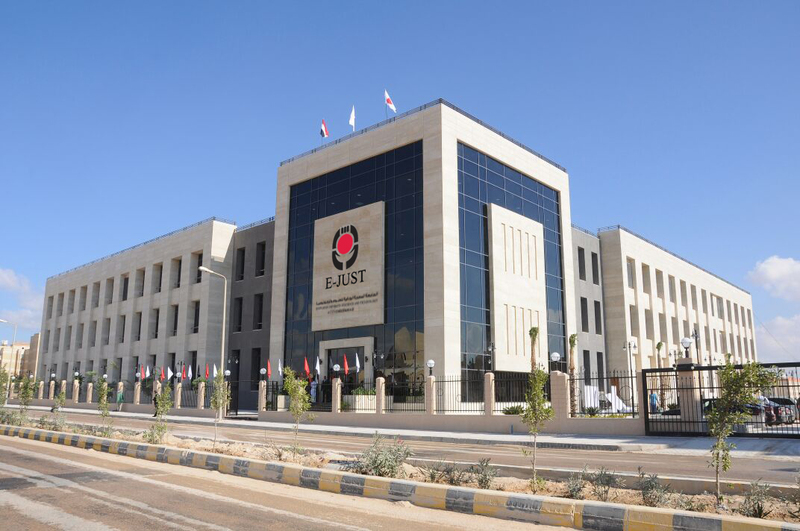 E-JUST President Prof. Ahmed Al-Gohary stated: E-JUST is the first Japanese University outside Japan, aiming at building and developing human resources capacities in the field of science and technology in Egypt and African countries. The University started receiving undergraduate admission applications for Faculty of Engineering and International Business Administration. You can apply through E-JUST official website.